This week I had the pleasure of being a part of an event hosted for Rose-Marie Swift at space519 in Chicago. 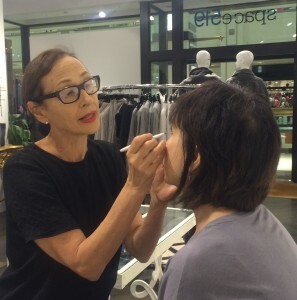 Rose-Marie is a renowned make-up artist who is responsible for some of the most famous faces in the world – Gisele Bundchen, Miranda Kerr, Demi Moore, Tilda Swinton, Zoe Saldana – the list goes on. After spending five minutes with Rose-Marie, her impressive client list comes as no surprise. She is attractive in a very cooky, cool way with flawless skin and endless personality. She has an eclectic background filled with fun gigs like being the lead singer of a punk band and doing make-up for hotel strippers! Yet there is an undeniable sophistication about her. Yes. I clearly have a girl crush! I did not even mind caring for Frankie, the precious Yorkie she shares with Miranda Kerr. I am not a dog lover, but I appreciated the pampered laziness of this cute one. She just sat down on Michigan Avenue and wanted to be carried – I get it! But seriously, it was fascinating to watch Rose-Marie work. I have never seen anyone apply and select make-up so well. It made me realize how important it is to choose the right colors for your skin and properly apply mascara. I certaintly picked up some free make-up tips! One of the things I found most interesting was Rose-Marie’s take on the natural lip. She explained that women looking for a natural lip gravitate towards lighter colors that do not suit their skin tone or look at all natural. 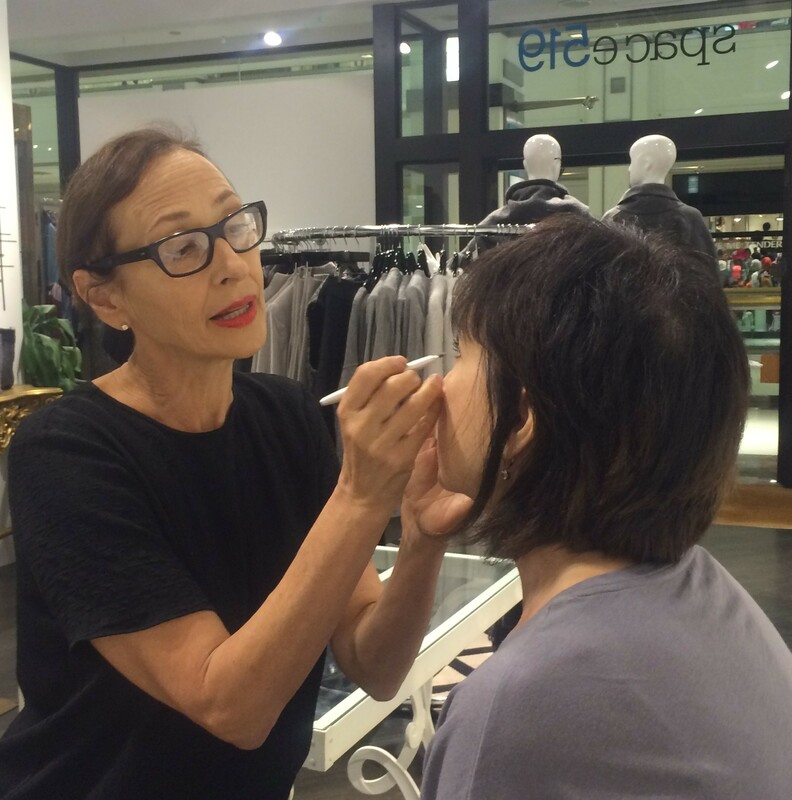 She said, “When a woman tells you she wants a natural lip, what she really means is that she wants her lips to look like they did when she was youngter!” So true. 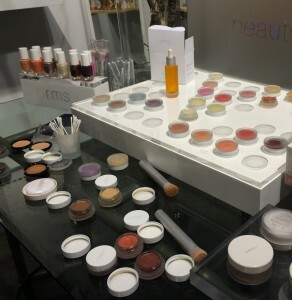 In case you are interested, Rose-Marie Swift’s beauty line is called RMS Beauty. All of the products are raw-coconut-oil based and all natural. There is also a new nail polish line that was launched for Fall 2015. All can be purchased at space519 in the 900 N Michigan Shops.